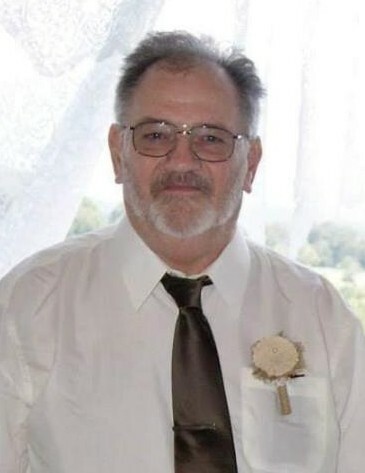 Funeral services for Reverend William Harold “Pete” Robertson, 67, of Williston, SC will be held eleven o’clock a.m., Tuesday, January 29, 2019 in the Folk Funeral Home Chapel with the Reverends Dan Fogle, Jamie Wootten and Gerald Mabry officiating; burial will be held in the Williston Cemetery. The family will receive friends on Monday from six to eight p.m. at the funeral home. Memorials may be given to Winfield Heights Christian Kindergarten (WHCK) 315 Chester Street, Williston, SC 29853. Pete passed away on Friday, January 25, 2019. Born in Colleton County, SC he was a son of the late William Harold Moyer and Mary Louise Robertson Bishop and was raised by his step father Albert Lee Bishop. Pete was ordained as Minister in 1985 at Hendersonville Baptist Church and has served many churches across South Carolina since. He enjoyed watching the Braves play baseball, loved spending time with his family and being a great “PAPA” to his grandchildren. Survivors include his wife, Glenda Ann Robertson; daughters, Becky (Frank) Grady of Williston and Beth (James) Williams of Barnwell; his grandchildren, Hunter (Dallas) Grady, Debon Grady and his fiancé Lorey Bell, Lauren (Tripp) Hutson, Courtney Williams and her Fiancé Chris Lewis; great-grandchildren, Leah Hunter Dickinson, Adalynn Reece Grady and Weston Folk Hutson; a sister, Darnell (Lavon) Courtney; sister-in-law Cheryl Bishop; a niece, Nevada and two nephews Dixon and Shawn Michael. In addition to his parents he was preceded in death by his brother, Dennis Bishop.